A healthy version of everyone's breakfast favorite. These pancakes will come out light and fluffy every time. 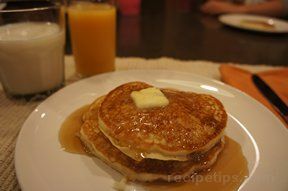 Top them off with fresh fruit instead of syrup to keep them healthy. Mix together egg, yogurt and oil. In a small bowl, combine flour, sugar, baking powder, baking soda and salt. Add to wet ingredients. Blend until they are smooth. 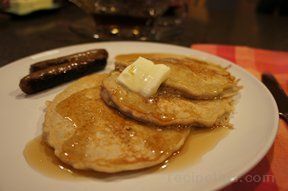 Preheat griddle to 375 degrees F. Pour the size of pancakes that you wish on greased griddle. Flip when pancakes start to bubble. "My family preferred the boxed mix over these."